Video games are an art form.Don't scoff,it's true.Believe the stereotype portrayals on film and television all you want,it cannot be denied that some of today's best video games boast graphics and artwork comparable to the works of past great artists.And nothing can testify more to that fact than the cover art on the boxes.Big game companies have been answering the call for more attractive packaging in order to sell their products ever since stores across the world started stocking them on their shelves.I've been privileged to have played a great many number of the games featured below,and I would challenge you to a fight if you should ever pass the covers off as ugly.And I usually win. 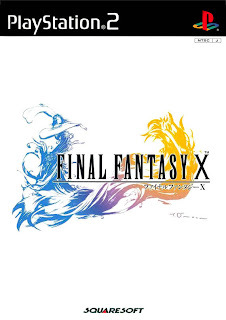 Unlike their counterparts in the West,Square Enix prefer simplicity over cluttering the cover with copy-and-pasted screenshots.Though it may seem like a calculated risk,with the off chance of being ignored amidst the sea of colourful boxes,Square Enic has managed to attract the eyes of many satisfied buyers since using this method from the very first game.And it must have been succesful,as proven by the record sales each time a new version is released.A simple motif of an important element of the game,in this case Yuna from Final Fantasy X,does the job of selling what the franchise has always been famous for:great gameplay nestled in an engaging story. 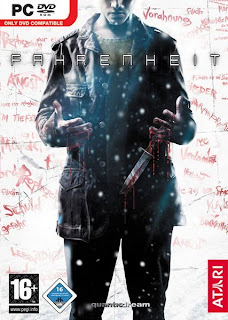 Maybe it's my affinity for white backgrounds.Maybe it's the blood soaked hands and wall.Maybe I like trenchcoat wearing men,a clear indication that this game has class.Whatever the reason,this cover caught my attention just as I stepped foot in the store.After a slew of tacky covers,Atari wisen up and applied a classic thriller film poster style to its box art.Unfortunately,they didn't stay with it after that.Take the recent Alone In The Dark cover for example. 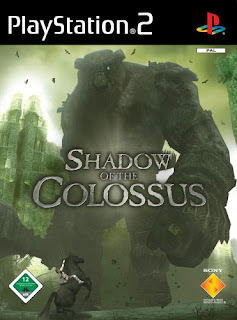 Before making a purchase,I usually practise my routine of first reading the plot and gameplay on gaming websites.If it piqued my interest enough,then I'd make the buy.Ico made me rush to the store the moment I laid my eyes on the cover while I was trolling though Gameaxis.I am unashamed to admit that I am a big fan of children picture books,particularly Where The Wild Things Are.Ico's cover immediately reminded me of Maurice Sendak's popular book.The handpainting-esque artwork was so unique at a time when developers lazily just place the game's protagonist on the cover.A definite must-have,both in disc and on a poster. 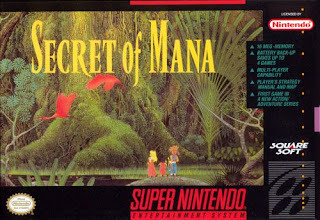 Truthfully,the NES was not known to provide gamers with brilliant cover art.Phalanx and Mega Man anyone?But Square Soft(before the name change) rewrote the rules and released this beautiful piece in 1993.The forest seems to jump out of the confines of the box,and the three kids harkened back to the days of 80s Saturday morning cartoons.Soon,others follow suit,though not quite matching to its awesomeness. 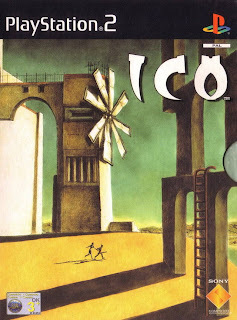 Yes,another game from Team Ico.But is it my fault that they produce such stunning cover art?Laying your eyes on that huge Colossi looming over the tiny protagonist is nothing short of epic.Which is the adjective to be used for the rest of the game. Voila,5 of the best video game cover art I've ever seen.All deserving of adoring admiration,all deserving of a place in an art gallery.All we need to do is just change the perception of society. 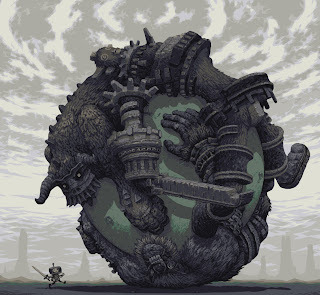 I leave you now with a fan-made pic of a cross between Katamari Damacy and SoD.Enjoy. If you have any ideas for future Top 5s related to video games,please leave them in the comments section or cbox.